Details! We Need Details Square Enix! The Final Fantasy VII Remake project was in development for PlayStation 4 before the port of the original Final Fantasy VII was announced, Square Enix claim in an interview with Eurogamer. According to Nomura, the announcement was made in part as part of an effort to help boost sales of the PlayStation 4 in Japan, where the console market has shrunk considerably, and home console sales are at an all-time low. “There’s more and more titles being introduced for the platform, and we’re hoping that announcing the remake of Final Fantasy VII, it’ll give a boost to people wanting to buy this current generation of console,” Nomura said. The Final Fantasy VII remake will use a more modern art style for Cloud, similar to his appearance in Final Fantasy VII: Advent Children. 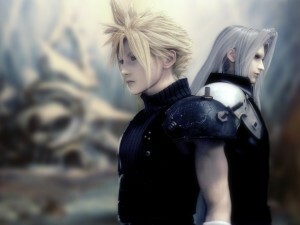 It is being created to celebrate the 20th anniversary of Final Fantasy VII. Sony announced the game at their E3 press conference, specifying that the Final Fantasy VII remake is coming “first” to PlayStation 4. The game will be directed by Tetsuya Nomura, with a scenario written by Kazushige Nojima. 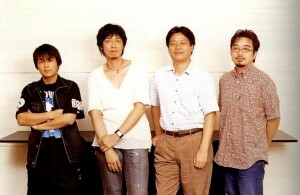 Yoshinori Kitase returns as Producer for the remake.